Janey Buchan, who died on January 14, was very much her own woman, though for her forty-five years of marriage she was part of the team known as Norman and Janey Buchan. During that time they were at the heart of what was going on in Scotland's art, music, museums, libraries, theatre and politics, giving moral and practical support wherever needed. After the first People's Festival Ceilidh in Edinburgh in 1951, when they were both captivated by traditional song and in particular by Jessie Murray's singing of Skippin Barfit through the Heather, traditional music took a central place among their interests. Norman started the most successful of school Ballads Clubs and with another remarkable couple, Morris and Marion Blythman, they were the senior figures who gave direction to the youthful enthusiasts of the Glasgow Folk-Song Club. Janey began to amass a collection of folklore books which would be awaiting Norman's attention when he retired from politics. (Norman was kept in the dark about the prices paid at auction for rare items.) Sadly, Norman died in 1990. His largely unforeseen death hit Janey hard. She had lost not only a dear companion, but the colleague and adviser who was ever at hand to bounce ideas off and turn a rhyme; she, in turn, put her prodigious memory and her wide reading of contemporary newspapers at Norman's service. And not just Norman's. She took seven newspapers a day and read them assiduously, acting as a one-woman news bureau for friends in all walks of life. At least once a month those friends could expect an envelope full of cuttings about their own special interests, however abstruse. To find a chair on a visit to the house in Partick you had to take a circuitous route using the patches of floor which showed between piled squares of newspaper and books old and new. Janey remained a supporter of paper and print, a lover of specialist bookshops, to the end of her life. She frequently found it necessary to remind purveyors of official information that a large proportion of the population still did not have access to computers. When she retired as an MEP in 1994, there was no dissipation of her energy. She maintained her interest and her contacts in politics, folk-song and the performing arts. She was a generous donor to academic institutions and to small museums, which she saw as losers in the lottery funding scramble. She could be a demanding donor. When she presented The Norman and Janey Buchan Collection of Political Song to one of Glasgow's universities, she regarded it as a starting-point for building an important academic resource. She was dismayed when it seemed that the university directorate seemed to treat it as a trophy, a finished possession which needed no further development, and she let the directors know. 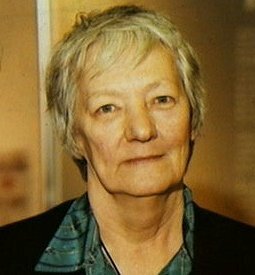 In 2002 she was the moving force behind the Edinburgh Festival's presentation of three weeks of concerts and talks, Them and Us: Scottish Political Song. This covered the songs of Gael and Lowlander, of the Scots-Irish of all persuasions, of Jacobites and the songwriters of the new millennium. Its impact was rewarded with the presentation of a Glasgow Herald 'Angel'. However, the house in Partick was proving too large and possibly too full of memories. Janey decided to move to London. Unfortunately, this coincided with a decline in health, which meant that she was unable to take part in the public and artistic life of the capital as she had planned. A further decline made it sensible to move to Brighton, near to her son, Alasdair, and his family. Her one delight was the discovery of a good book shop close to her new home. Here she bought books to read and to pass on to friends. It is as a giver she will be remembered, not just of material things but of hope and encouragement, of tips from her wide experience: how to 'coffee-cup' a song or a piece of information, when was the best time of year to put on a folk concert, or to run successful jumble sale. Her absence will be more noticeable than most folk's presence.